The Environmental Protection Agency (EPA) placed the Gold King Mine and 47 other nearby sites on the Superfund cleanup list. These sites, all within the Bonita Peak Mining District, deposit an estimated 5.4 million gallons a day of heavy metal drainage into creeks within the Animas and San Juan river basins. The Superfund cleanup is a federal program that would allocate funds for the investigation and cleanup of some of America's "ticking time bombs" that would hinder human health and the environment. "The Bonita Peak Mining District site consists of 48 historic mines or mining-related sources where ongoing releases of metal-laden water and sediments are occurring within Mineral Creek, Cement Creek and the Upper Animas. Near Silverton, Colorado, these drainages join to form the Animas River, which is used for drinking water, recreation and agricultural purposes," according to the EPA listing. "Contaminants found in these sources and in the surface water include arsenic, cadmium, copper, manganese, zinc, lead and aluminum. These contaminants impact fisheries that are harvested for human consumption, as well as wetlands and habitat for the threatened Canada lynx." The Bonita Peak Mining District being added to the Superfund list is a step in the right direction that would help protect headwaters from mine drainage. Currently 40 percent of headwaters in the Western United States are affected by hard rock mining drainage. The TU-led San Juan Water Coalition has been fighting to address this issue by pushing for Good Samaritan legislation that would help clean up even more abandoned mines not addressed by the Superfund. 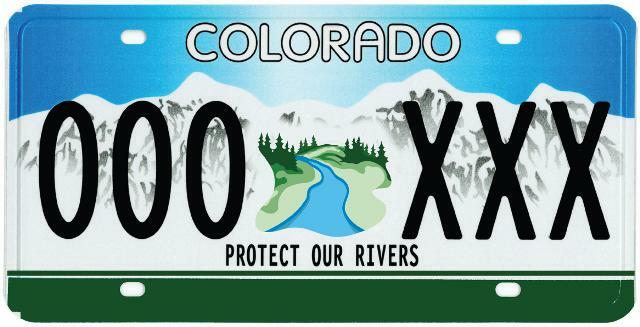 “Anglers and sportsmen strongly support this process,” said Trout Unlimited San Juan Mountains coordinator Ty Churchwell in a Denver Post article. “We’ll monitor the progress in the months and years to come to ensure the cleanup is done right and supports a high-quality fishery in the Animas. It’s our hope that Congress appropriates adequate funding to begin the cleanup soon." The town of Silverton, previously opposed to the Superfund program, now supports the listing along with local communities and law makers. “I’m hopeful that with this designation the EPA will continue to collaborate with local, tribal and state officials and work to protect the local economy, maximizing local employment opportunities where possible, and providing adequate funding to ensure the cleanup begins as quickly as possible,” said US Rep. Scott Tipton. “Listing the Bonita Peak Mining District on the National Priorities List is an important step that enables EPA to secure the necessary resources to investigate and address contamination concerns of San Juan and La Plata Counties, as well as other downstream communities in New Mexico, Utah, and the Navajo Nation,” EPA regional administrator Shaun McGrath said in a statement.